On the Vesterheim Textile Tour in June we visited the Craft Museum of Finland. 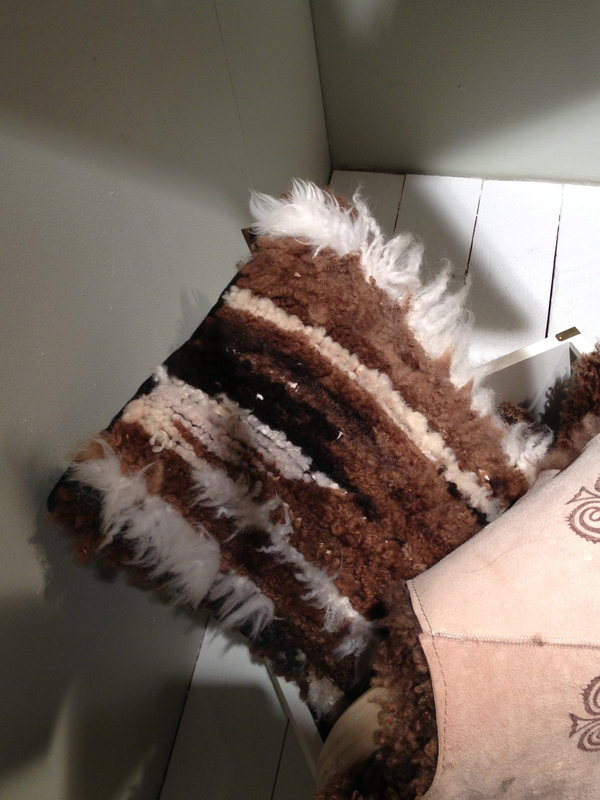 My Friend Jan Mostrom and I noticed a pillow tucked in the corner of an exhibit. Although the pillow wasn’t particularly attractive, using strips of fleece in the weft struck me as an interesting idea. When I came home I made an experimental piece. I had a fleece with a bumpy and irregular back, so I couldn’t use it for a skinfell (like the type mentioned in this post). 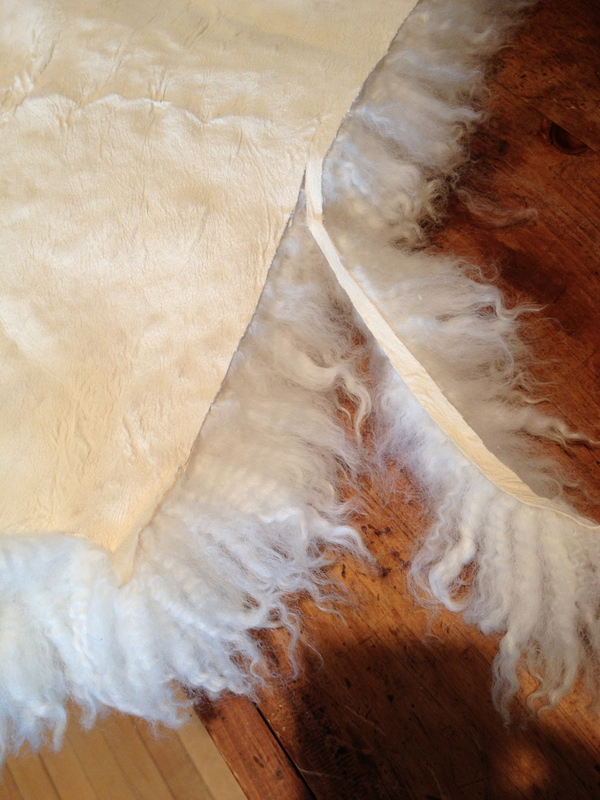 I snipped narrow pieces of the fleece to insert as weft. I thought the result was partially successful but in the end, the stripes seemed a little busy. 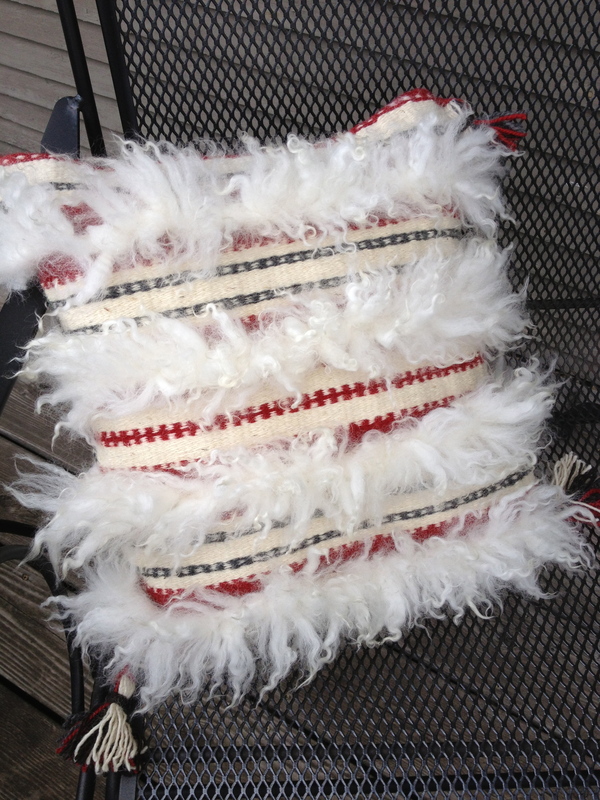 I made it into a pillow, using a recycled Norwegian-patterned sweater piece for the back. Since there is a category for woven pillows at the Minnesota State Fair, I entered it. The judges must have found it interesting – it received a blue ribbon!